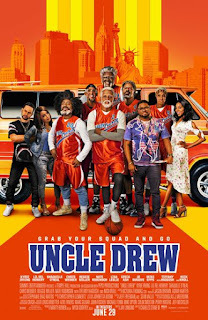 Home » Past Screenings » UNCLE DREW Advance Screening Passes! UNCLE DREW Advance Screening Passes! 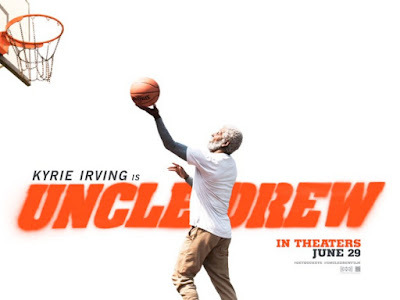 Do you want to see UNCLE DREW before anyone else? Learn how you can see an Advance Screening to see it before anyone else. An amateur basketball coach (Lil Rel Howery/GET OUT) stands to lose everything even his girlfriend (Tiffany Haddish/GIRLS TRIP) when his longtime rival (Nick Kroll/BIG MOUTH) steals his star player on the eve of the biggest streetball tournament in the world until he enlists the help of an unlikely basketball phenom, the 70-something-year-old Uncle Drew (Kyrie Irving), in this spirited sports comedy featuring some of the biggest names in professional basketball (Shaquille O’Neal, Chris Webber, Reggie Miller, Nate Robinson, and Lisa Leslie). UNCLE DREW is in theaters on June 29th, 2018.